For over fifty years, Mark Tully has been one of the most celebrated observers of Indian politics and society. In this collection, he returns to the territory of his acclaimed and bestselling work of fiction, The Heart of India, to bring us stories from the end of an era—a time that preceded the economic liberalization of 1991, when India was at a crossroads; and a time that may not be as firmly in the past as we imagine. Set in the villages of eastern Uttar Pradesh during the second half of the 1980s, these stories are about memorable people—unlikely rebels, delightful pragmatists, bunglers and bumblers, quiet heroes—finding ways to deal with bad governance, corruption and social hierarchies. A timid, elderly Dalit challenges tradition to build a temple to Sant Ravi Das; a clear-headed, clever farmer’s wife saves her family from her husband’s follies; a former headmistress leads the battle to save an endangered railway line; a politician’s son learns what it means ‘to eat the dust of UP’; a peaceable, comfort-loving policeman defies political pressure to solve a murder; an agnostic becomes a monk. 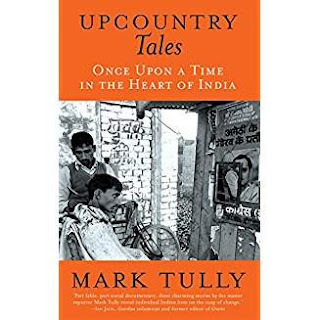 Mark Tully was born in Kolkata in 1935 and educated in India and England. He joined the British Broadcasting Corporation in 1964 and moved to India as the BBC’s India correspondent the following year. He covered all the major events in South Asia for thirty years, until he resigned from the BBC in 1994. Since 1994 he has been a freelance journalist and broadcaster based in New Delhi. He has published several books on South Asia, among them, Amritsar: Mrs Gandhi’s Last Battle (with Satish Jacob); Raj to Rajiv: 40 Years of Indian Independence (with Zareer Masani); No Full Stops in India; India in Slow Motion (with Gillian Wright); Non-stop India; and a collection of short stories, The Heart of India. Mark Tully was awarded the Padma Shri by the Government of India in 1992 and the Padma Bhushan in 2005. He was knighted and received a KBE, in 2002.